A new Oxfam report found that global wealth inequality has continued to increase, but whether the same is true for Scotland has been debated. 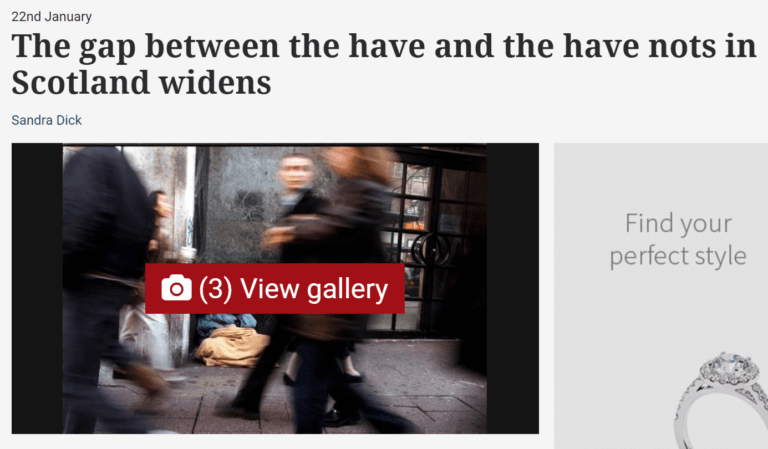 Political blog Wings Over Scotland questioned a news article in The Herald on the report, and whether the “gulf between the haves and have nots in Scotland is deepening”, as there was no specific mention of Scotland in the report. Ferret Fact Service looked at the claim that inequality is increasing in Scotland and found it to be True. Scotland’s inequality is not directly referred to in the 2018 Reward Work, Not Wealth report, but there is evidence that suggests that the gap between the richest and poorest is increasing in Scotland. A widening inequality gap was also highlighted in Oxfam Scotland’s 2017 report, Building a More Equal Scotland: Designing Scotland’s Poverty and Inequality Commission. UK Government statistics on low household income included in the 2017 report show that on two recognised measurements, also used by the Scottish Government, income inequality has increased in recent years. Inequality can be measured in a number of different ways. Data generated by both the Gini coefficient and the Palma Ratio found income inequality to be at “historically high levels last seen in the early 1990s”. The Palma Ratio is the measure of inequality preferred by the Scottish Government. It compares the income share of the top ten per cent of people to the bottom 40 per cent. This also shows that inequality has been rising in Scotland in line with the UK. In 2015/16, the most recent year where data was available the data shows a sharp rise on previous years. In 2015/16 was at its highest point ever recorded in the 17 years that this data has been compiled. The Gini Coefficient is another way of measuring inequality, which looks how equally income is spread. The lower the Gini value, the more equal a society. The Gini coefficient data for Scotland also shows a sharp rise in 2015/16. On this measure inequality in Scotland is also at a historic high, although similar highs were observed in 2000/01 and 2008/09. Wings over Scotland also questioned several of the claims made in The Herald. 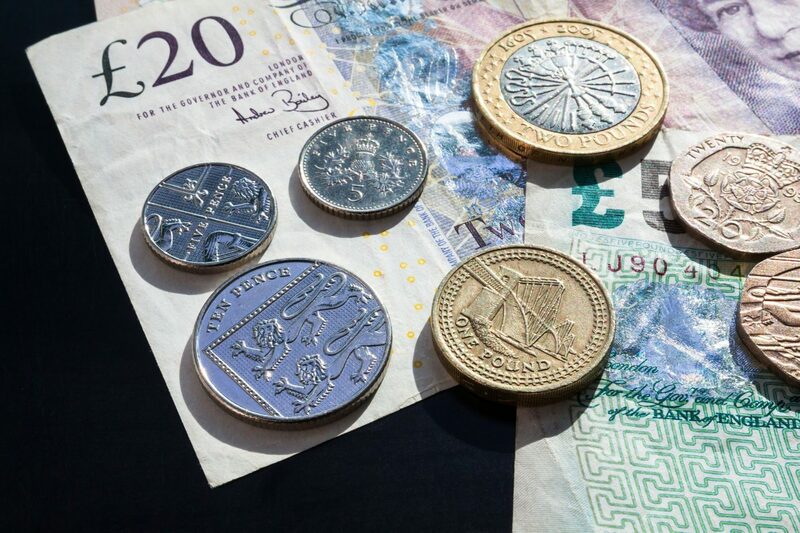 Its report stated that “the richest one per cent has more wealth than the bottom 50 per cent combined” and an editorial in the newspaper said that Scotland’s “10 richest families or individuals were last year estimated to have a combined wealth of £14.7bn”. The Herald does not cite the source of the latter claim, but it appears to originate from the 2017 Sunday Times Rich List. This statistic comes from the Scottish Government’s 2017 report Wealth and Assets in Scotland, 2006-2014 and is cited as such in Oxfam Scotland’s 2017 report. The report also highlights the growing rate of wealth inequality in recent years, finding that the “wealthiest 10 per cent of households owned 9.4 times the net household wealth of the bottom 40 per cent” between 2012 and 14. In the previous period from 2010 to 2012, the wealthiest owned 8.8 times the household wealth of those in the bottom 40 per cent. No specific increase in Scotland’s wealth inequality is directly referenced in Oxfam’s 2018 report. However, government data has shown clear increases in the gap between the richest and poorest in Scotland.